Have you ever looked in the mirror and felt that your lips look thin and unattractive? Do you wish you could have the full, luscious lips seen on the famous and successful? If so, you aren’t alone. Unfortunately, many people who dislike an aspect of their facial appearance find that it can have a significant psychological effect, negatively impacting on their confidence and self-esteem. Cosmetic surgery for the lips, often known as lip augmentation, can change the appearance of the lips, giving you the fuller pout that you desire. It is most commonly performed using lip fillers, and is one of the fastest-growing cosmetic surgery procedures performed in the U.S. today. Lip fillers are the general name given to the substances that can be injected into the lips to plump them out, making them appear larger and more desirable. There are many different varieties of lip filler on the cosmetic surgery market, but the majority of them contain substances that are similar to hyaluronic acid, which is naturally-occurring in the human body that helps to increase the volume in the lips. Purified fat is also commonly used as a lip filler. Taken from your own body (usually from the thighs or abdomen), there is virtually no chance of rejection or allergic reaction to this type of lip augmentation. In the past, collagen was the main component used in lip fillers. However, modern lip fillers have been shown to be much safer and yield much better, longer-lasting results. - Long-lasting results – while the results are not permanent, many patients find that after reaching their initial desired appearance, they only need to have their lip fillers topped up every six months. How can lip fillers improve my appearance? Many people believe that lip fillers will only add volume to your lips. However, they can also enhance the shape of your lips, give them greater definition and even balance out the features of your face so that they look in better proportion. For a large number of patients, the psychological benefits of lip fillers are just as important. People who dislike their appearance are often introverted, lacking in confidence and self-esteem. However, patients who have had lip fillers find that it helps them to feel much happier about the way that they look, giving them confidence and making them feel empowered and attractive. Does having lip fillers hurt? One of the most commonly asked questions about lip fillers is whether or not having them injected is painful. Topical numbing cream is usually applied to the area shortly before the treatment commences, which should prevent the process from being painful. However, some patients do report that they do experience temporary discomfort. There is no downtime required after a lip augmentation procedure. You may find that your lips are slightly swollen or bruised, but this tends to abate in the first 48 hours following the procedure. 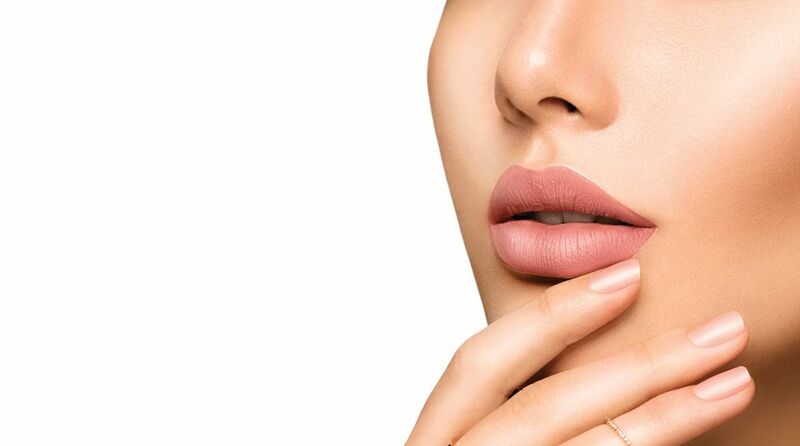 If you are unhappy with the appearance of your lips and would like to find out more about whether or not lip fillers would be the right cosmetic solution for you, contact our friendly and experienced team who would be delighted to help you. Give us a call today and take the first step towards achieving the pout that you have always dreamed of.